A sleek and clear designed tool packed with tons of powerful features that are simple to use. It does not get any better than this. Simple. What features does TSupremacy offer? 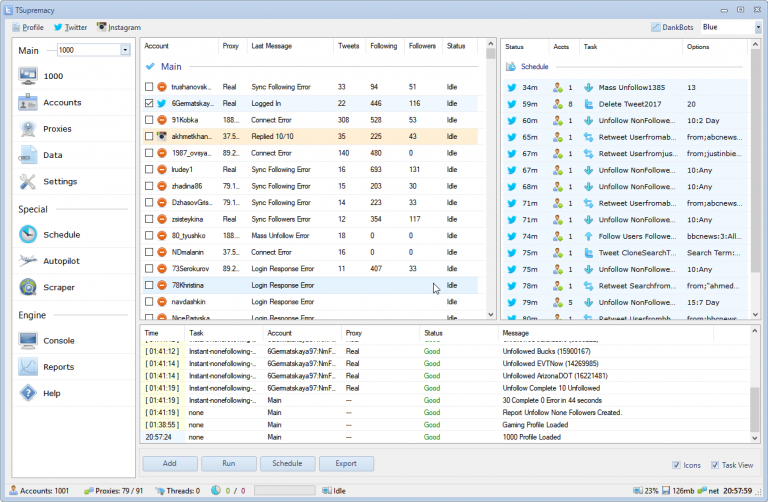 Send or Schedule Tweets, Retweets, Replies, Messages in a variety of methods from Search, Lists, RSS and many more. Supports automatic fully dynamic content creation in Tweets, Image Tweets, Retweets, and other mass media content. What people think of TSupremacy? Social Media Bots Offer Friends and Real Profit!